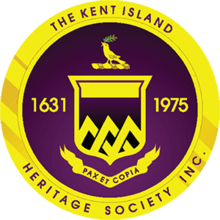 Welcome to the Kent island Heritage Society, Inc. library. Located at the Kent Island branch library in Stevensville, MD. Enter a search term or search using one of the following categories to see what we have cataloged: Delaware, Eastern Shore, General Genealogy, Kent Island, Kirwan House Collection, Maritime, Maryland, Miscellaneous, Pennsylvania, Queen Anne's County, Virginia, or War Records. You can also mouse over a title below to stop scrolling and click on a title to provide additional information. Look for more content added each week! ALL Books, periodicals, documents, photos, family bible summaries, newspapers, magazines, and other materials are for IN LIBRARY USE ONLY and may not be checked out or removed. Research help is available by contacting Robert Lowe at rclowesr@atlanticbb.net.